The Immaculate Conception Parish School of Religion (PSR) provides religious formation for students in grades Kindergarten through 8th who attend public schools. Our goal is to instruct the youth of our parish family as a community of believers in the Catholic faith. 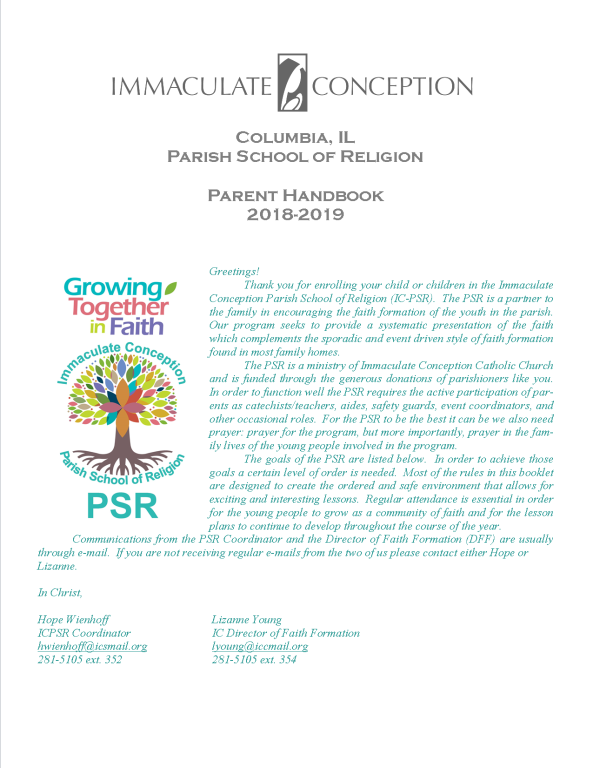 The parish provides this PSR program to help parents fulfill their commitment as primary educators of our Catholic faith. With cooperation between parents and teachers, the children will develop responsible behavior essential in their growth as contributing members of the Catholic community. The instructions include faith-enriching experiences, such as liturgies, faith instructions, prayer, service projects, sacramental preparation, discussions leading to moral awareness, and community service. All of this is made possible by volunteer catechists from Immaculate Conception Parish. 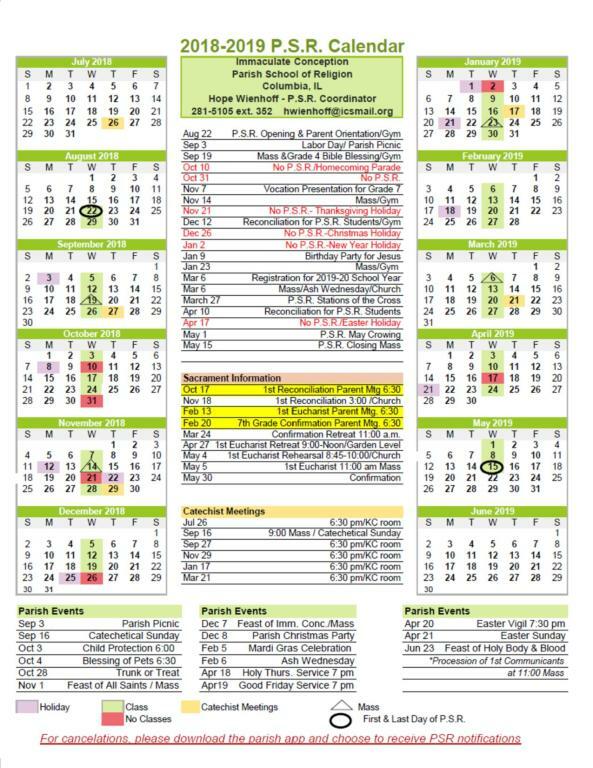 PSR classes are held from August to May each year on Wednesday evenings from 6:30 to 7:30 at Immaculate Conception School. A small fee is asked for each student in attendance to help defray expenses for materials and textbooks.